DeSelms Real Estate Is Thriving! The word of the year for DeSelms Real Estate is THRIVE. So, it’s fitting that within the first quarter of this year we had some pretty exciting news. On Saturday, March 4th the Greater Nashville Association of REALTORs gathered at the Omni Hotel to celebrate success within the Nashville real estate market. Five of our amazing real estate agents were 2016 GNAR award winners! This is the most we’ve ever had on our team at one time and we could not be more proud. We had two Gold Award winners: Jay Toms and Tim Warren, both of whom have received the award in the past. These two real estate agents continue to impress us year after year with their hard work and success in the industry. We are also very excited to announce three first time recipients for the Silver Award: Jim Youngblood, Kenny Stephens, and Justin Cronan. These guys have been continuously growing and it was wonderful to see their determination rewarded. It was much-deserved night of recognition and celebration! 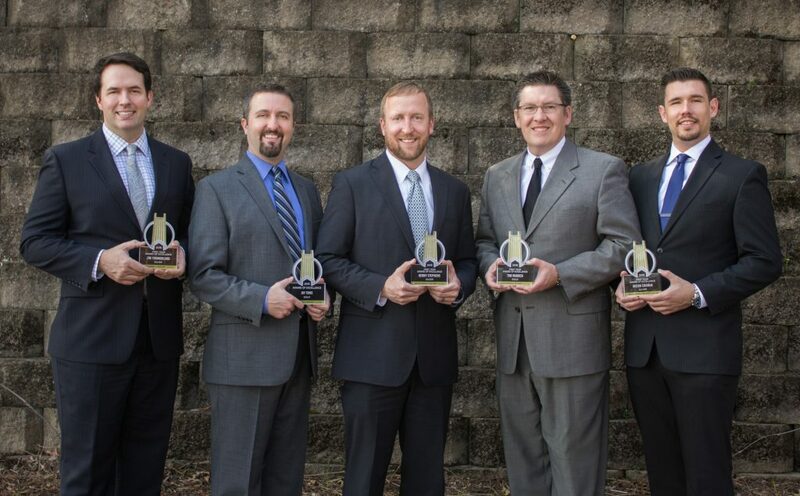 If you see any of these five team members out in person, be sure to congratulate them! If you would like to know more about their success and the DeSelms Real Estate commitment to agent training and mentoring, call us today at 615.550.5565! And who knows – next year’s picture could include you too!